In the new exhibition rooms of the Framework Gallery, 12 works are on display which have permanently changed the building substance of the interior. As does each work in its own right, here each presentation of a work is an intervention into the given space. The exhibit offers an overview of Balthaus’s interdisciplinary, in- and outdoor projects, primarily sculptures and alterations in the context of buildings, cities, and parks. Among the works shown are co-operative projects with Staab Architects, the landscape architects gruppef, Büro 213, de architekten and LOMA architecture.landscape.urbanism from Kassel. 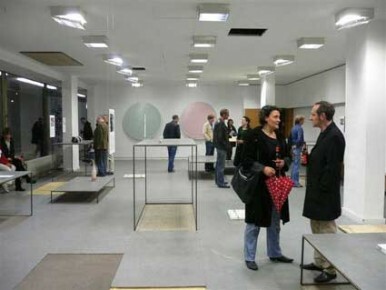 In the existing gallery space, various floor and ceiling materials and built-in furnishings have accumulated over the years, each ha-ving constructed a unique atmosphere. The exhibit exposes and shifts these layers and presents them as sculpture. Pieces of the floor are lifted to the heights of pedestals or the ceiling. Fragments of the ceiling lay like plaster statues on the floor. Elements of the walls pop forward and serve as exhibition signage, at the same time exposing the East German bookstore shelving and a stairway that they had hidden from view. 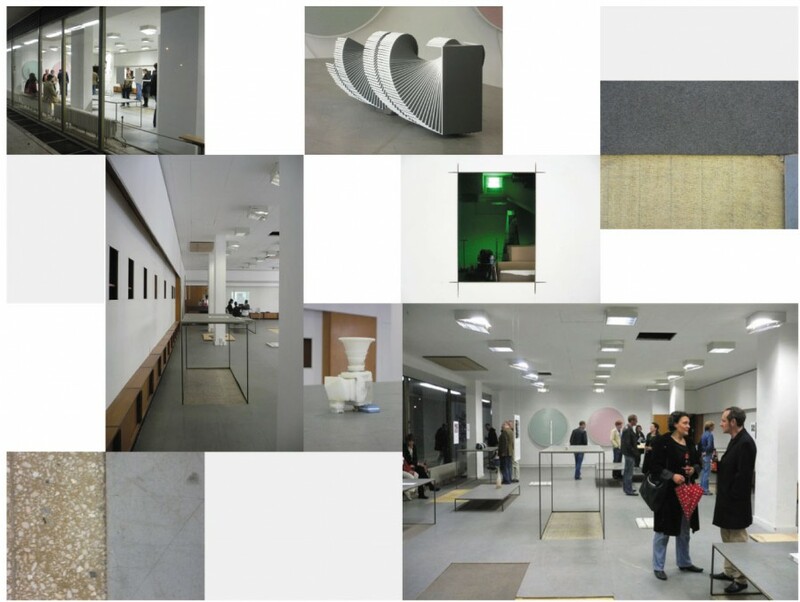 In this way the show comments on the stage-like qualities of exhibition conventions of the White Cube and at the same time reveals the changes of scenery accommodated by the building in the last 30 years. The installation takes archaeological notice of the GDR architecture from the 70’s, which was here exposed and in the end restored for the future exhibition space.